Water Garden Koi Pond Blog on EVERYTHING pond! Subscribe for delivery! 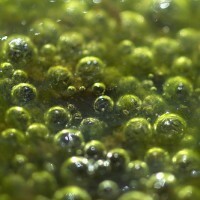 For all these types of pond algae that we have to deal with there are solutions. Some solutions are very general and will help work on all 3 pond algae types, while other issues may require a very targeted solution to the issue. There are not many treatments or types of equipment that will eliminate algae growth in your koi pond or water garden; and those that can eliminate algae growth may not be very healthy for your fish or desirable aquatic plants. A naturally balanced pond through proper filtration and management will have clear water on its own. 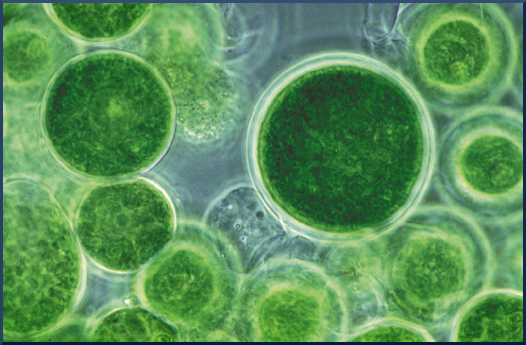 Green water*, is probably the most common pond algae issue that pond and water garden owners face at sometime and thankfully one that can be eliminated! Green water is not necessarily bad for fish or the overall health of the pond, but it sure is not what we’re hoping for when our ponds were installed. The shades of green water can vary from a deep green/black to a bright lime green color. It grows almost everywhere on the planet. It provides food and shelter. It can live in peaceful symbiosis or quickly kill its host. 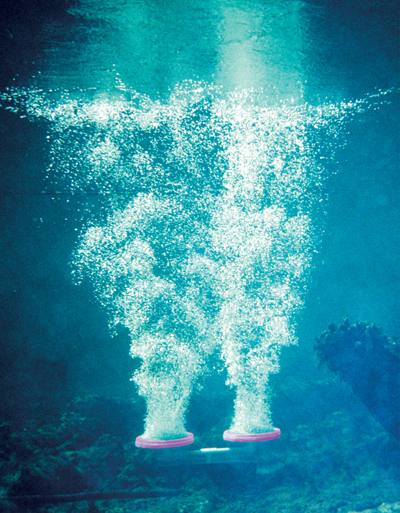 It can reproduce at stunningly fast rates turning the surrounding environment red, blue, brown, and green. It can glow at night. It can float freely and sporadically or attach itself to a surface; overwhelming every square inch of it. It can stand taller than a building or be microscopic in stature. It can appear as a primitive animal type or as a plant. It has numerous genus and species that have been around 400 million years. 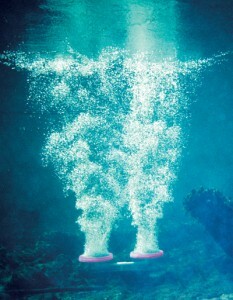 It is in our oceans and our freshwater systems. 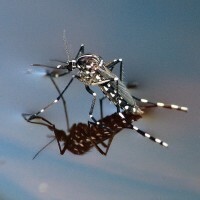 It is in our drinking water, swimming pools, and our backyard ponds and water gardens. All pond owners have to deal with it at some time or another, in some way or another. “It”, is algae. “What’s the New Jersey state bird?” …the mosquito. HEY POND OWNERS, IT’S GREAT BLUE HERON TIME AGAIN! 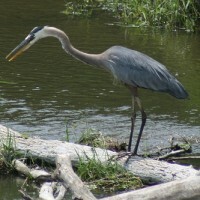 By: Mike Gannon | Posted On: May 21st, 2012 | 3 Comments on HEY POND OWNERS, IT’S GREAT BLUE HERON TIME AGAIN! It just wouldn’t seem like spring in the pond world without a word on the Great Blue Heron. As water garden koi pond owners, many of us have become familiar with the largest wading bird in North America. Our familiarity doesn’t come by choice for most of us though. Our familiarity with the Great Blue Heron comes by our encounters with this modern Pterodactyl using our ponds as it’s personal sushi bar. CATFISH IN YOUR BACKYARD POND. FRIEND OR FOE? 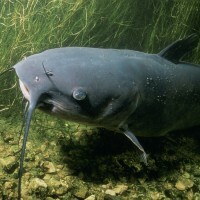 By: Mike Gannon | Posted On: May 14th, 2012 | 59 Comments on CATFISH IN YOUR BACKYARD POND. FRIEND OR FOE? Probably the biggest misconception I see among pond owners is that introducing a catfish to the backyard pond or water garden will help keep your pond cleaner. With respect I’d like to burst the bubble on that school of thought. Catfish, although scavengers, will not do anything to actually help keep your koi pond water garden clean; and may actually have a greater impact on lowering the overall water quality of your pond than your traditional koi and goldfish will! Let’s call it all the same… or are they?! 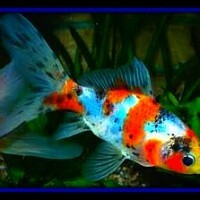 Shubunkin, the poor man’s koi, are beautiful and easy to care for calico goldfish. Shubunkin make a great choice for the backyard water garden pond adding color and liveliness to any setting. As a pond fish the shubunkin are cold hardy, can tolerate a wide spectrum of water conditions, accept many foods, and will reproduce pretty readily in a typical pond set up. They are available from most pond fish sellers; and with a reasonable price tag they have become a popular choice for water garden and pond owners. 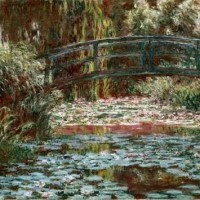 Could water gardens be the ultimate and most influential form of art ever created? Worlds Fair Paris, France 1889, the Exposition Universelle du 1889. 100 years after the French Revolution the world was changing, and at this very moment Paris was the center of it all. Many ornamental and natural pond owners will at some point look to add some sort of critter to their pond for some added interest or for another reason like algae and aquatic weed control. One of the options that they are sure to see out in the pond market would be crayfish. Crayfish for your pond (Procambarus sp. 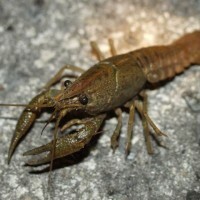 ); also called crawfish, crawdaddys, mudbugs, are pretty commonly offered by pond center retailers. To be sure, crayfish can add interest and a bit of plant and/or algae control to your pond. The lotus flower, Nelumbo nucifera. The relationships that are sometimes developed between man and plant can be very fascinating. This definitely holds true for the lotus flower. The lotus flower and human connection goes back well beyond 1000 years, and crosses numerous cultural and geographical boundaries even from ancient times. 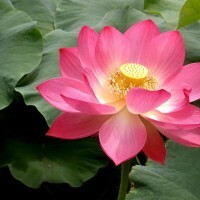 The lotus is even revered in a spiritual way by several cultures. Still today, lotus is a widely known and popular water garden plant that can be found in about any water garden center, just about anywhere on the planet. The lotus flower has achieved truly an iconic status with its familiar large flower head that is easily identified by even the beginner water garden enthusiasts and chefs.